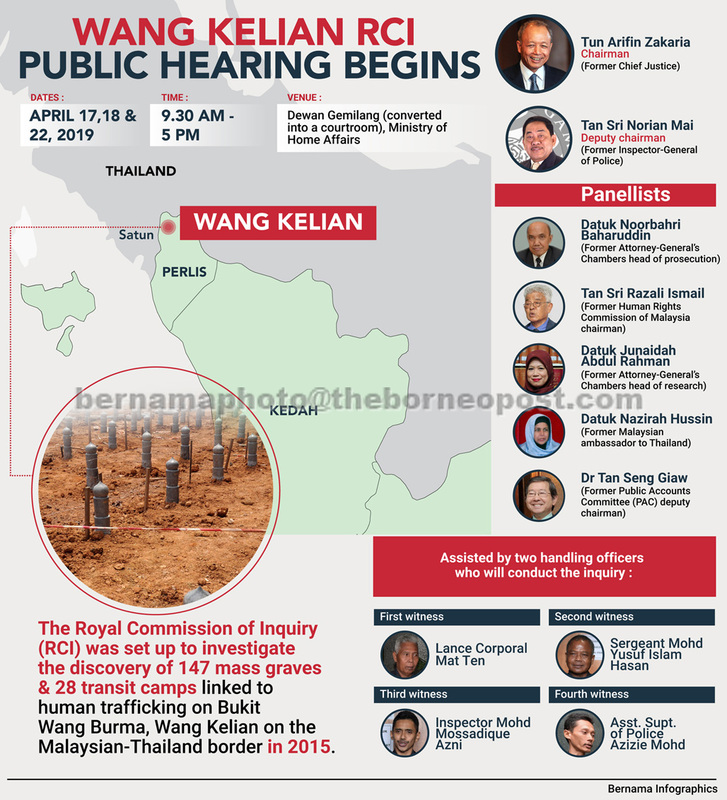 PUTRAJAYA: The public hearing of the Royal Commission of Inquiry (RCI) on human trafficking and mass graves in Wang Kelian began yesterday with the chairman Tun Arifin Zakaria giving the terms of reference of its investigation. It was held at the Home Ministry’s Dewan Gemilang here, which has been converted into a court room, and began with an opening speech by Ariffin, who is former Chief Justice. Arifin said RCI would act according to the terms of reference in its investigation, as well as look into the procedures implemented by the authorities during and after the discovery.